Introduced at OTWorld at Leipzip and available from now on: With the Dynamics thumb orthosis, Ofa Bamberg offers a new treatment possibility for a wide indication spectrum. It immobilizes the thumb saddle joint as well as the base of the thumb and obtains a large degree of hand function at the same time. 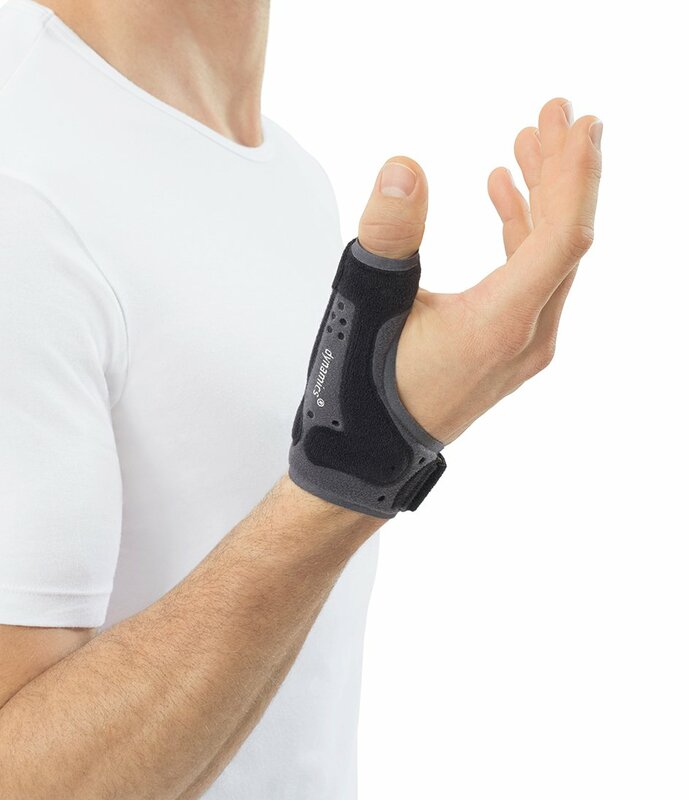 Therefore the Dynamics thumb orthosis is versatile: for bruises, distortions and capsule lesions / ligament lesions of the thumb, but also for special pathologies of the basal joint (e.g. skier’s thumb) or the saddle joint (e.g. advanced rhisarthrosis). Both are effectively immobilized, in order to relieve pain and support the healing process. A light aluminum reinforcement builds a stable frame around the thumb, without pushing directly on the saddle and basal joint. It can be adapted to the individual hand shape. Therefore, only two sizes of universal design for left and right are necessary – for an optimized storage in the health care supply store or emergency reserves. Moreover, the orthosis convinces with its suitability for daily use: thumb and wrist stay mobile, the fingers and palm of the hand stay completely free. Users can easily grab, and many handgrips are possible with the orthosis without any problems. The discreet, resistant coloring makes the product the perfect companion, also at work. High-grade materials provide high comfort: velvety on the outside, comfortably padded on the inside and seamlessly finished at a large extend. Air holes and a skin friendly inner lining offer a comfortable wearing.